It was sixty years ago that the epic film, The Ten Commandments, directed by Cecil B. DeMille, hit the big screen. 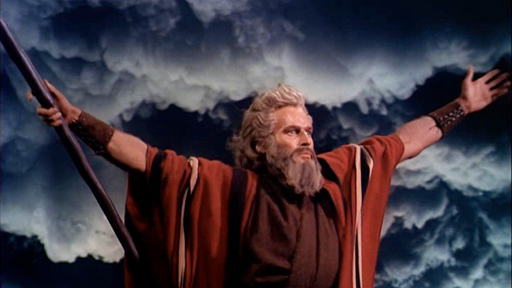 The film starred Charlton Heston as Moses and Yul Brenner as Ramses. At the time of its release, it was the most expensive film ever produced, but it paid off. It was the highest grossing film of its time and still ranks as seventh on the all time list of top money-making films, which is why films are made in the first place. Not only does the product have to be good for people to buy a ticket to see it, it has to be successfully marketed. In fact, movie making is all about marketing and The Ten Commandments was a big box office success because it was marketed as a movie everyone should see… and nearly everyone did. In honor of the legendary film, I thought I would come up with my own Ten Commandments of Marketing. You may not be producing feature length films, but if you are in business, these Ten Commandments are essential to your success. It never ceases to amaze me that well-intentioned business people think they can grow their business without marketing. If you don’t promote yourself through marketing, you might as well shutter your doors. 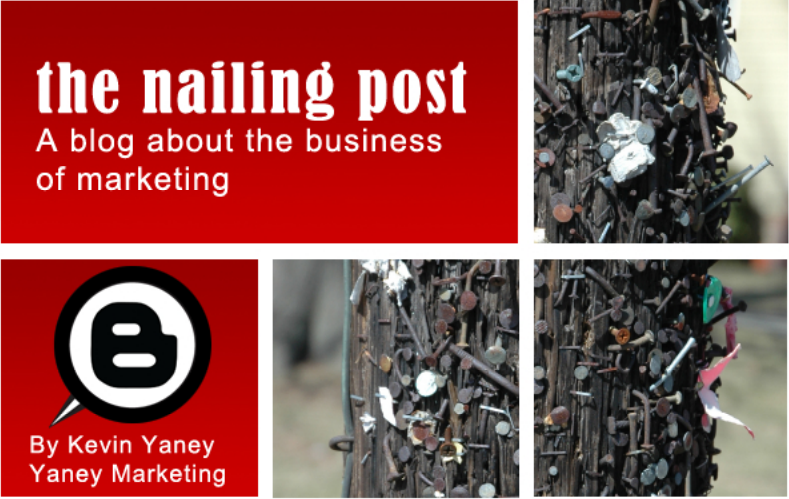 Everything in business rises and falls on your marketing. Make a commitment to do it. You have to understand your customers’ likes and dislikes if you are going to successfully market to them. Customers can be very fickle about the smallest of details. Not only do you have to know who is buying from you, but you have to know why they are buying from you when they have other choices. Your success in marketing hinges upon how well you know your customers. What are the features, advantages and benefits of your products or services? What are the problems with your products or services? You want to market the benefits and send the shortcomings back to research and development. When they have shored up those deficiencies, you can market your product as new and improved. What are your strengths and weaknesses as a business? Do you have great customer service but very poor distribution of product problems? Could you get a customer to purchase 1,000 of whatever you do, but would have a hard time getting 1,000 to the customer in a timely manner? Understanding your limitations needs to be considered when you are marketing. You have little chance of success if you market the wrong attribute. To be successful in marketing, you have to counter what the competition is doing. You have to market your edge over them. Otherwise you will be either lagging behind them and losing market share, or you will look the same as them to the customer. At that point, you become a commodity – being bid against each other for the lowest price. By knowing what time it is, I don’t mean looking at your watch and discovering it is 11:30! What I mean is there are cycles in some markets where buying takes place in a season. The rest of the cycle entails gathering information, budgeting, getting purchase orders, etc. If your market is somewhat cyclical, then you want your marketing to coincide with the budgeting season, when buying decisions are being made. Timing is critical in marketing. It is hard to hit a bullseye when you don’t know where the target is located. Your marketing should be driven by your sales goals. Take the time to think through what you are trying to accomplish in sales, what market sectors you want to penetrate, where you have opportunities to grow your business. Formulate measurable goals from these possibilities. After you have your goals set, create a marketing plan to attract business around these goals. Take all the above information into account and write out a plan of action. How will you make the market aware of your products or services? How will you get them to transition from awareness to buying from you? What will you do to retain the business you have and get current customers to buy from you again? It is all a part of a strategic marketing plan. Marketing conditions change, sometimes very quickly. If there is a shift that causes your product to become less relevant (maybe because of new technology) or more relevant (maybe because of the popularity of what you do), you have to be ready to change with the market. This goes beyond your current customer base. Your customers may like what you do, but the general marketplace is moving away from it. You have to be aware of what is going on and to adjust your marketing message accordingly. All marketing leads to a sale eventually. If not, then something is not working correctly in the previous nine commandments. Make sure to measure your marketing effectiveness. Test it against your goals. Make a direct correlation between your marketing efforts and your cash register. ROI is what marketing is all about.